Estacio del Nord. Photo: Brian Kinney / Shutterstock.com. 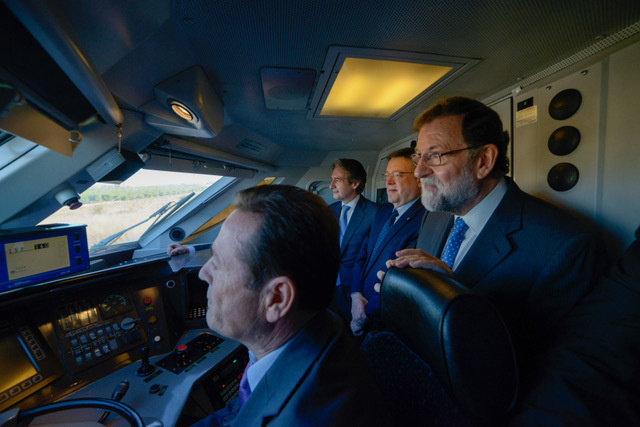 Spain’s prime minister, Mariano Rajoy, has opened a new section of high-speed railway between Valencia and Castellón on Europe’s Mediterranean Corridor. 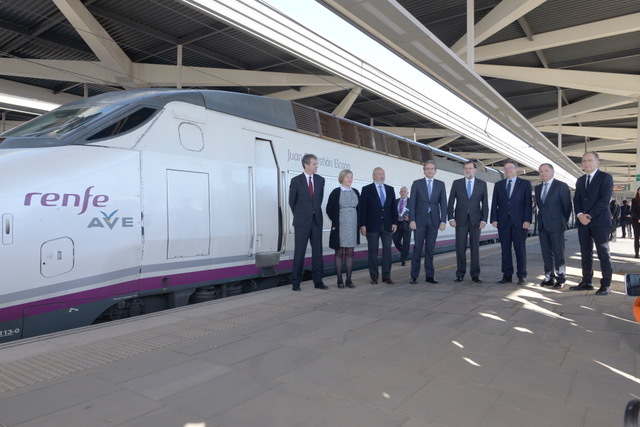 Four new daily AVE services and two new intercity services will begin operating tomorrow between Madrid and Castellón. 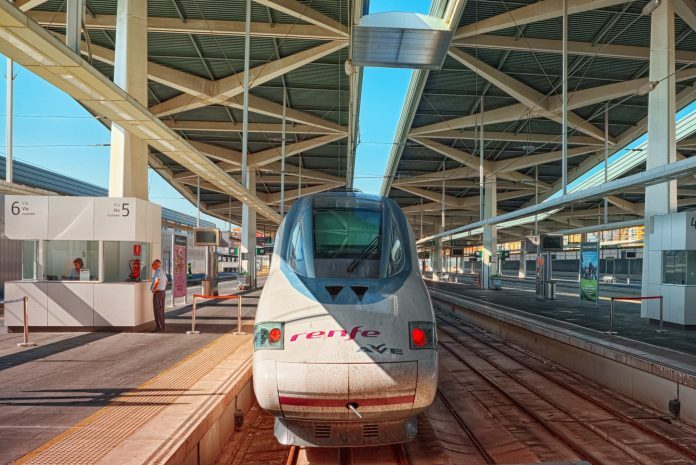 The new service, which is the result of a €355 million investment in Spain’s high-speed rail network, will reduce travel times between Madrid and Castellón by 37 minutes. Rajoy, Spain’s prime minister and president of the government, was joined by the Minister of Development, Íñigo de la Serna, and the president of the Valencian Government, Ximo Puig. Adif Alta Velocidad – the high-speed rail arm of Spain’s rail infrastructure manager – has installed a third rail on one of the lines connecting Valencia and Castellón to allow both Standard-gauge and Iberian-gauge trains to run. More than 160km of new rail had to be installed along with the replacement of 160,000 sleepers and 110,000 m3 of ballast. As a result, upgrades had to be carried out to the electrification and signalling systems, as well as modifications to 20 stations along the route.